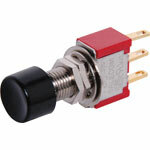 The Salecom range of switches are pin compatible with several other leading brands of toggles, but at a fraction of the cost. 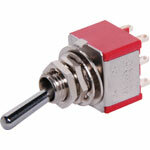 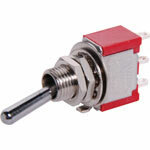 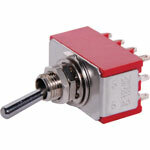 Their range incluges toggles, push buttons, miniature and sub-miniature switches, rockers, slide and DIP switches. 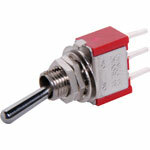 Salecom make up a majority of the Altronics switch range and have been used by many manufacturers for years.